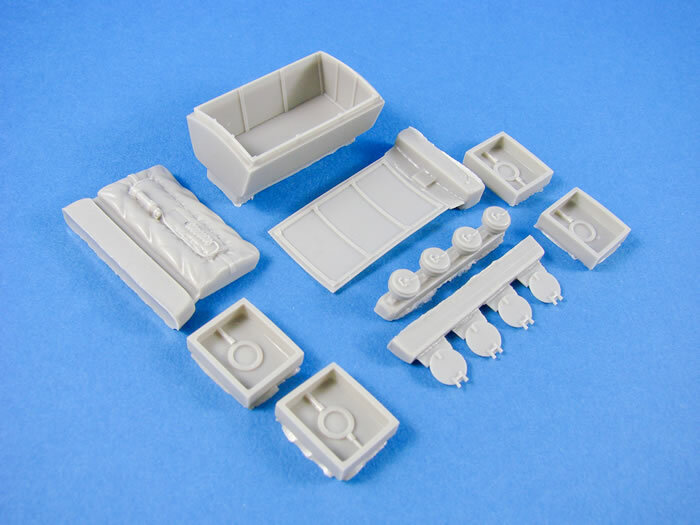 Contents and Media: 18 parts in grey coloured resin; instructions. I must say that this is an unusual concoction for a detail set with a life raft compartment being sold with fuel filling points! Now, as the previous set shows you the wing fuel tanks from below, this set provides the tank fuelling points that exist in the inboard area of the upper wing panels. 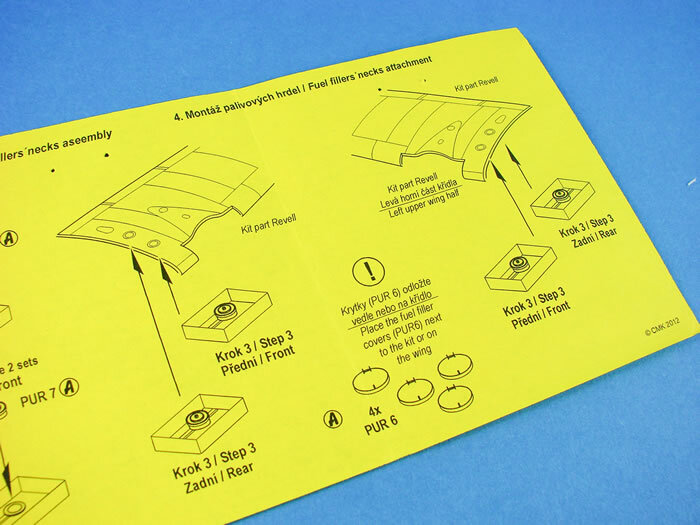 Instead of removing whole swathes of plastic though, you simply need to drill out the filling points on Revell’s moulded plastic. Underneath these points you will fit a resin box that will have a fuel filler point fastened to. Parts are of course supplied for the fuel filler plates that you drilled out previously. No real clean-up needs to be done on the resin boxes, but the filler ports and access plates are cast onto a block and will need removing and some tidying before you can use them. As for the life raft, this is a very simple mod indeed. 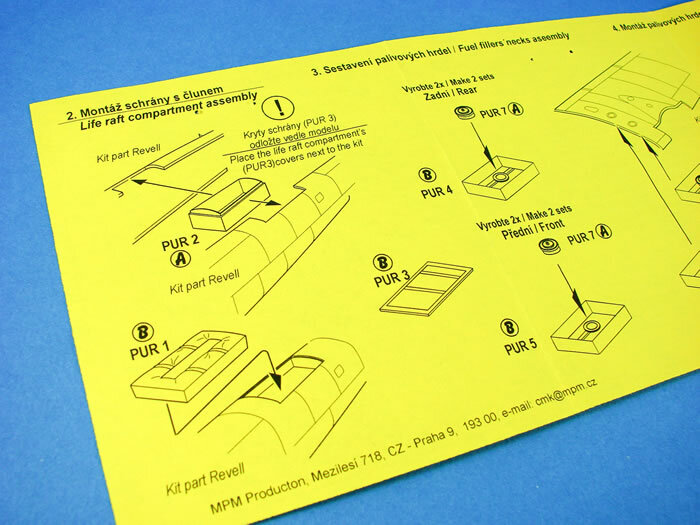 After cutting away the relevant plastic on the spine of the He 111 kit, you will secure a compartment within this area, lipped so that it will recess into your newly-cut opening. When the fuse is closed and the compartment painted, a resin life raft can then be dropped into position, all folded with the relevant details such as gas canister and pull/inflation cord. Lastly, a panel is supplied which would cover this area. 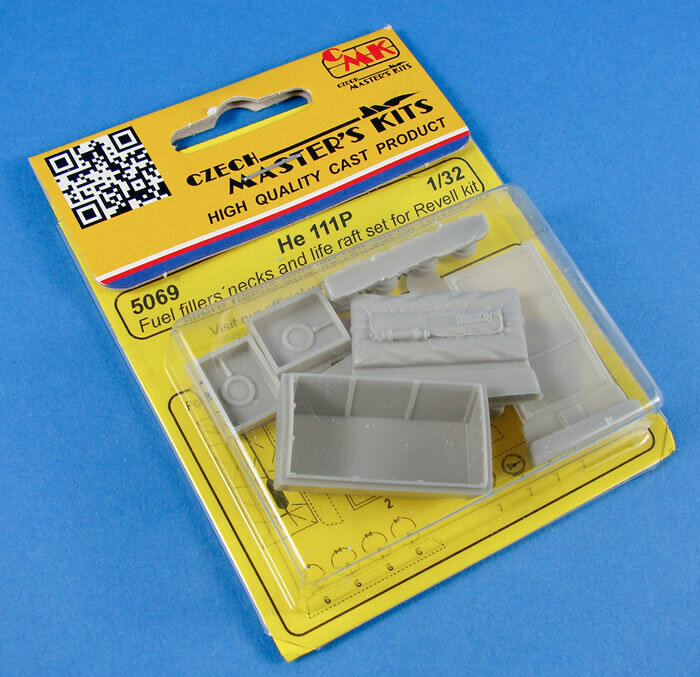 Casting is again excellent, and this set is packaged into one of the smaller CMK blister packs. 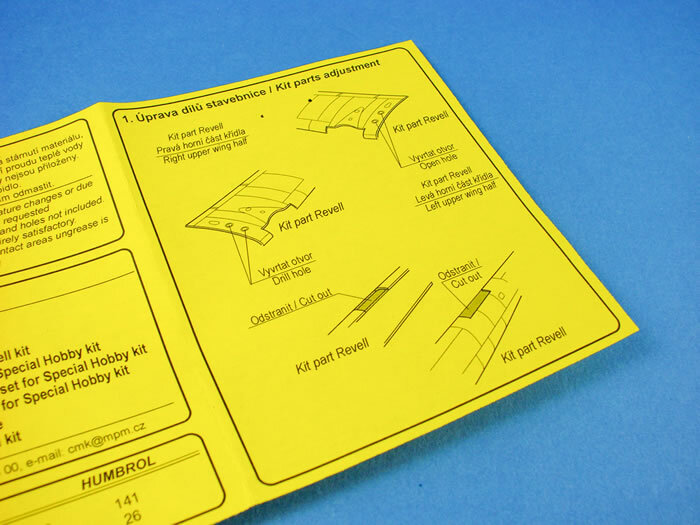 Instructions are clear and easy to follow, with suitable Humbrol paint references.